Hey! Looking for the updated 3D version of Auto Fire? Go here! AutoFire was my second entry into the 7-Day Roguelike Challenge. For 2016 I wanted to stray from the comfortable gameplay I did for my inaugural 7DRL with Huge. There were some systems for turn-based car combat that I’ve been tossing around for a while… But applied to the Roguelike mold. 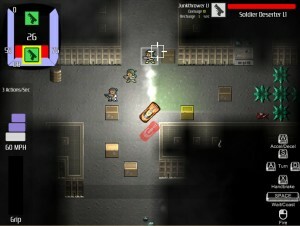 In AutoFire the player drives an armored battle car driving through a post-apocalyptic wasteland, battling bandits and mutants while salvaging weapons and armor. To develop the game within a week I chose to strip down Huge to its bare bones and use it as a starting point. I focused on adding an entire vehicle system with a major emphasis on UI to help illustrate the new mechanics. I also created a loot system this year and allow players to choose where to mount the weapons they salvage. I have done a few improvements to the game since the end of the 7DRL, so download the newest if you want to see it, or check out the original 7DRL link to see where it was at the end of 168 hours. Some updates have been made since the, including some improved skidding mechanics, improved damage and speed feedback, and improved weapon information. Plus, there’s actual line-of-sight checking so you can hide behind things. The world generation has also been adjusted, and the difficulty was somewhat increased from the admittedly easy version I put out for 7DRL. 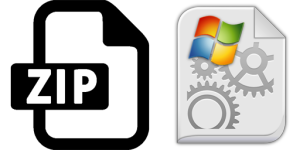 If you click this link you can download the Windows executable, as it was submitted to the 7DRL. Not bad for a week’s part-time work! Due to “adrenaline”, the player gets additional actions per turn (per “second”) when they accelerate. However each weapon has a fixed second-length cooldown, so players must make use of weapons on all four sides of the vehicle for maximum advantage. Moving fast has its own challenges… The faster you go, the more your maneuvers drain your Grip meter. When your grip drops into the red, you start to skid… Although this can be used to your advantage as well. I’m too fond of where this is going to just throw it out and move on. I’ve moved the game into 3D, added enemy cars and an overworld. Hit the page for a rundown of Auto Fire. Check out the blog for more information about what’s new and what’s being worked on. Or send your suggestions and feedback!